Mysuru: The Karnataka High Court on Tuesday acquitted former Corporator C. Mahadesh alias Avva Madesha and seven of his accomplices in a double murder that took place at Hunsur ten years ago. While four of them are in the prison, four others are on bail. Mahadesh and seven others, including his brother Manju, had allegedly hacked to death Rajesh alias Gandhi and Ramesh from Paduvarahalli at a farm house in Hunsur on May 14, 2008. The Second Additional District and Sessions Court here on Feb.26, 2016 had convicted Mahadesh, his brother Manju and accomplices Chandru alias Chandu, Ravi alias Vontikoppal Ravi, N. Shivakumar alias Kalappa, Ramesh Babu, Ambareesh alias ambi and Karthik and sentenced them to life imprisonment. Mahadesh and others had appealed against the verdict in the High Court. The High Court, which heard the plea, acquitted them for want of evidence. Judge Vijaykumar M. Anand Shetty had also ordered the Police to register a perjury case against Sunil, Devendra, Srinivas and Ashok for allegedly turning hostile in the later stages of the trial. Also, Shivanischith alias Shivu, the ninth accused in the case, who turned approver, had been acquitted. The Judge had also imposed a penalty of Rs.3 lakh on Mahadesh, the prime accused and Rs.1 lakh each on seven others. Mahadesh and his accomplices, armed with machete and other lethal weapons, had allegedly entered a farm house at Hunsur and had brutally hacked Rajesh and Ramesh to death on the night of May 14, 2008. Mahadesh and his accomplices were absconding for some time after the brutal hacking and were arrested by the Hunsur Town Police after some time. 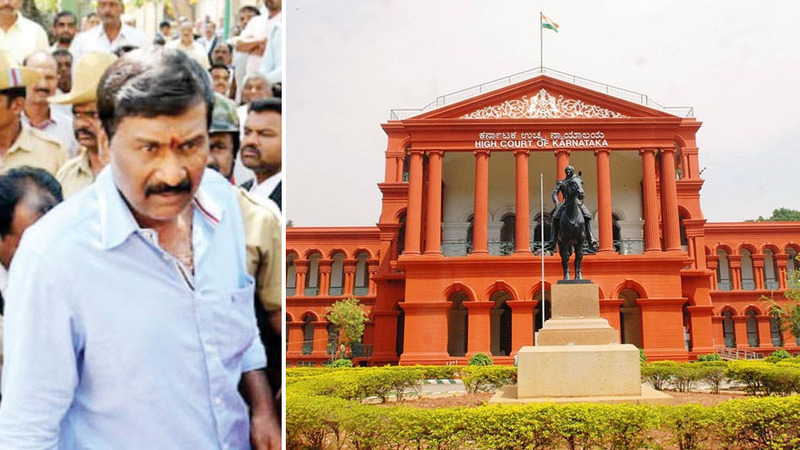 While four of the accused will be out of prison following their acquittal by the High Court, four other accused, including prime accused Mahadesh alias Avva Madesha, his brother Manju, N. Shivakumar alias Kalappa and Chandru alias Chandu cannot walk out of jail as they have been booked under KCOCA for the murder of rowdy-sheeter Devu alias Devendra that took place at Paduvarahalli in May 2016. There are a total of 29 accused in the case and the hearing in the case is scheduled to begin from Aug.18, it is learnt. After MCC Corporator C. Mahadesh of JD(S) was convicted and sentenced to life by the 2nd Addl. District and Sessions Court in Feb. 2016, the Mysuru City Corporation had terminated his membership, following which a by-election was held for the MCC Ward he had represented in June last year (2017). SBM Manju of the JD(S) had retained the seat for the party by defeating his nearest rival K. Madesh of the BJP. What a shame. Spit on the justice system and police. Whom do we blame.. the judge who acquitted the obvious rowdy without considering forensic evidence or the govt who did not put forward a strong case using the best lawyers or the police who could not protect and secure witnesses or the witnesses who turned hostile by taking money and cowardice or the foolish selfish public who fall at the feet of these anti social elements !!. God save this country. Disgusting.